Hey Elbow released last March their second album "C0C0C0". 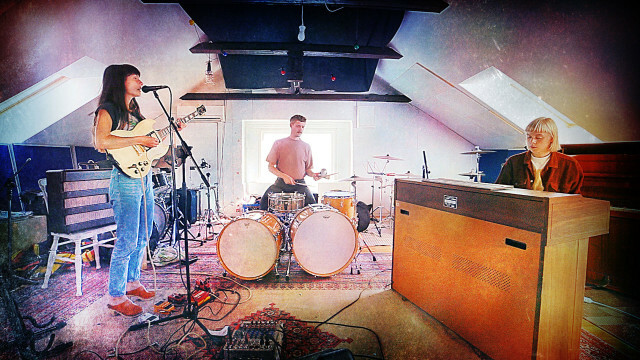 the trio composed of Julia Ringdahl, Ellen Petersson and Liam Amner have a very own style, experimental rock with jazz influences. A good sound punctuated by the excellent drumming of Liam not to mention Ellen's trumpet notes that adds a special atmosphere to the music, all led by the powerful voice of Julia. During their show in Paris at Supersonic, the band shared several of their new songs, which you can watch 2 extracts in this video.